“Research Diversity” takes to the stage. 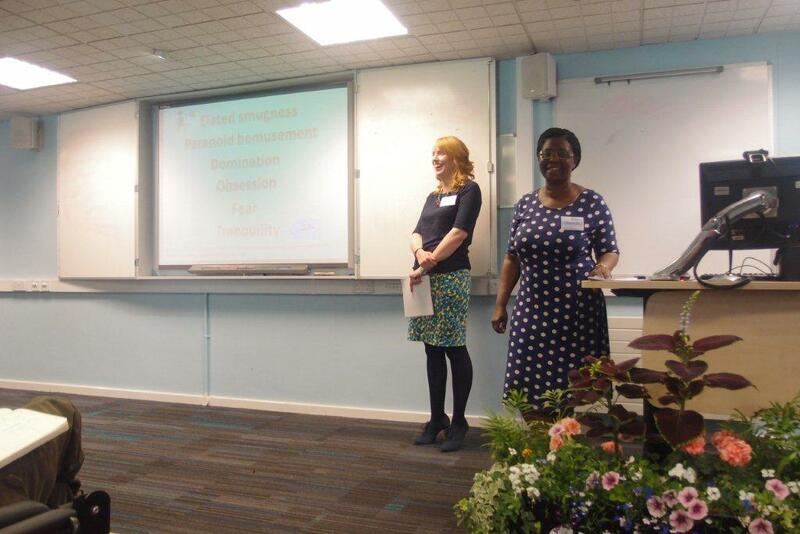 On Thursday 26th June, The Graduate School held their 2014 PGR Conference, where Postgraduate Research Students and Early Career Researchers had an opportunity to practice and hone their presentation skills in front of an audience comprised of the University of Northampton research community; staff and students. Emma Clarke, presenter (left), and Anna Crouch (Chair). 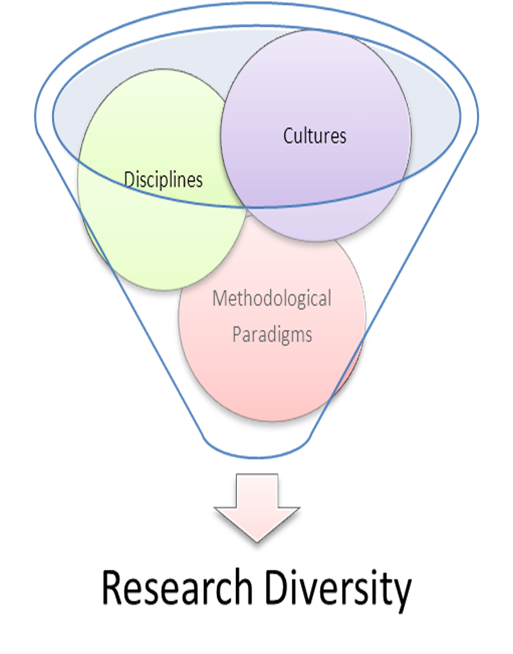 Research Diversity was a perfectly fitting title! After an introduction by Professor Jon Stobart, research student Emma Clarke (pictured) kicked off the day with a very amusing presentation on how it feels being at the start of her ‘journey’, asking “Am I a proper researcher?” She was followed, throughout the morning, by papers on pollinators, a World Bank case study, cyborgs, families and British drug treatment. The afternoon saw an equally varied and fascinating collection of papers, including presentations in leather technology, dyslexia in nursing and empathy in social enterprise. Every School in the University was represented, with the diversity theme stretching to include myriad cultures and methodological paradigms. The Chairs, Anna Crouch, Chi Jack-Osimiri, Benny Kuruvilla and Joshua Onyango, all research students, kept the sessions running to time and fielded some excellent questions. They had also helped with planning the conference in the preceding weeks as members of a Conference Working Group. Joshua Onyango and Tolulope Eboka (also a research student) stood in for a couple of absent speakers and made an excellent job of presenting at such short notice. Many thanks go to all of the speakers, Chairs and to everyone who participated and came to join us in the audience. We hope you enjoyed the day. If you have any feedback on the conference please direct it to simone.apel@northampton.ac.uk. 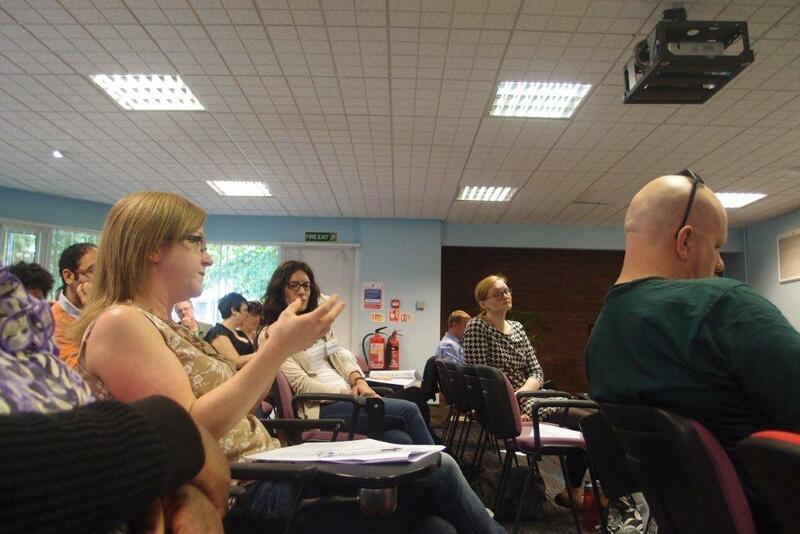 Posted on July 2, 2014, in Conferences, Events and tagged Early career researchers, PGR conference, Postgraduate research students. Bookmark the permalink. Leave a comment.